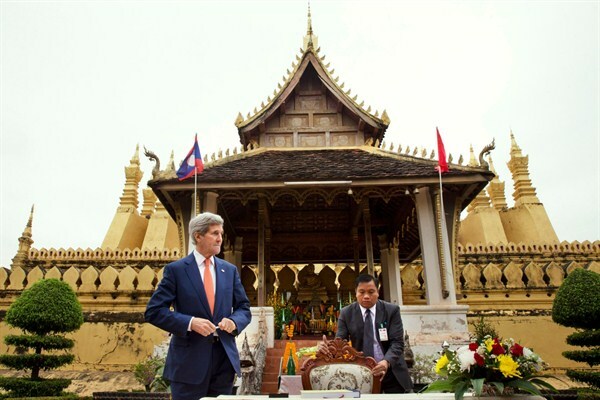 U.S. Secretary of State John Kerry during a tour of Pha Tha Luang, Vientiane, Laos, Jan. 25, 2016 (AP photo by Jacquelyn Martin). When Barack Obama traveled to Cuba in March, he became the first U.S. president in almost 90 years to set foot on the island nation. But during the final year of his presidency, he will become the first-ever sitting U.S. president to visit another communist-ruled former foe: Laos. In September, Obama will go to its capital, Vientiane, for the summit of the Association of Southeast Asian Nations (ASEAN).